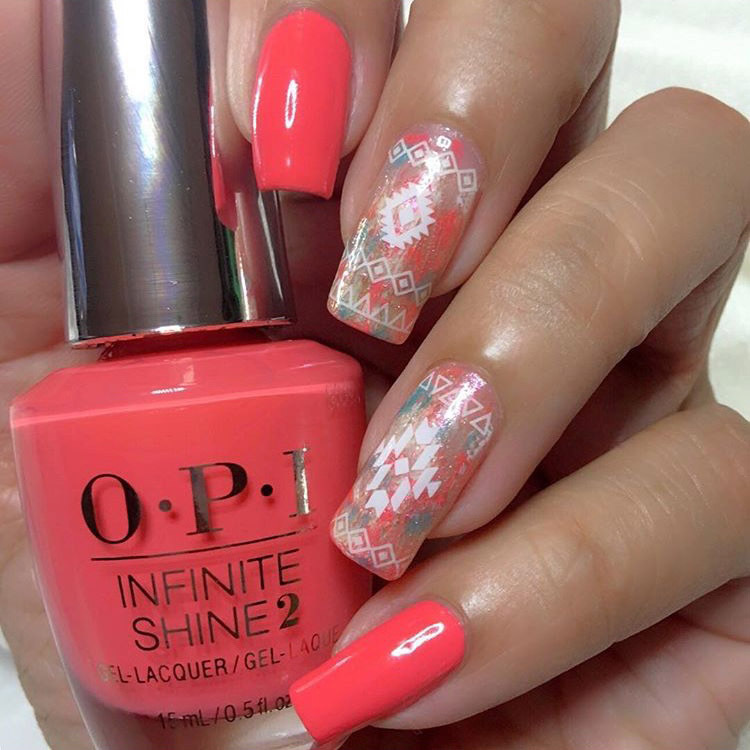 To speed things up, simply use the new SoNailicious Summer nail stickers for the most difficult part – the intricate patterns. The creative freedom is 100% yours! 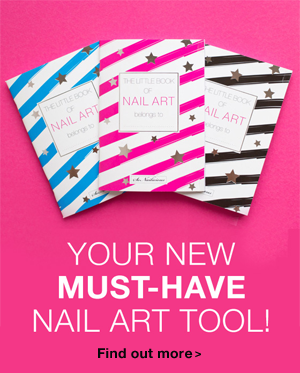 These stickers are here to help you with nail art, not to replace it. 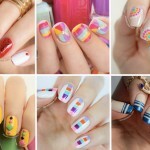 So take a look at these 15 brilliant manicure ideas with Summer nail stickers – they are easy, quick and ultra chic! To get the look: simply apply black Geo Pattern nail stickers and Holographic tape over gradient manicure and secure your design with a top coat. 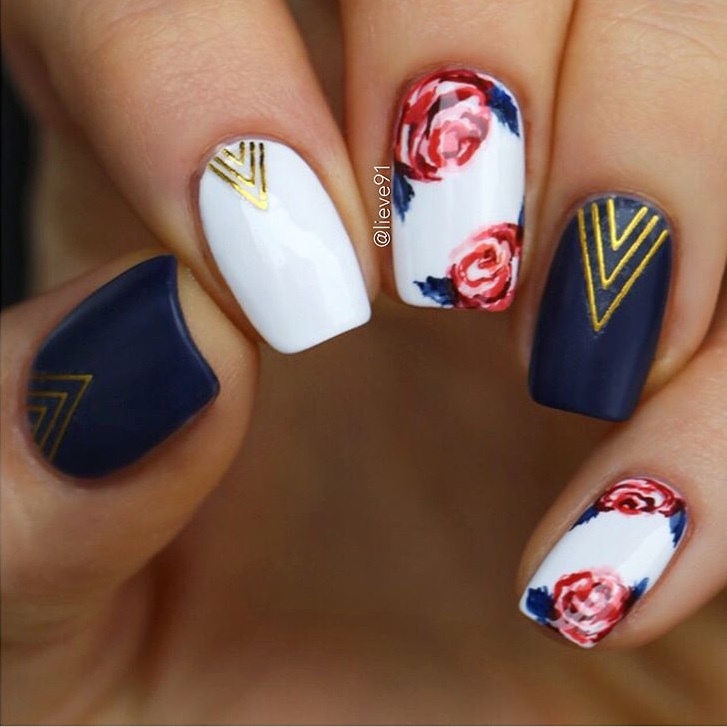 To get the look: apply gold Chevron nail stickers on pointer, thumb and ring finger nails and paint roses with a Warrior brush on little and middle finger nails. Finish your design with a matte top coat. 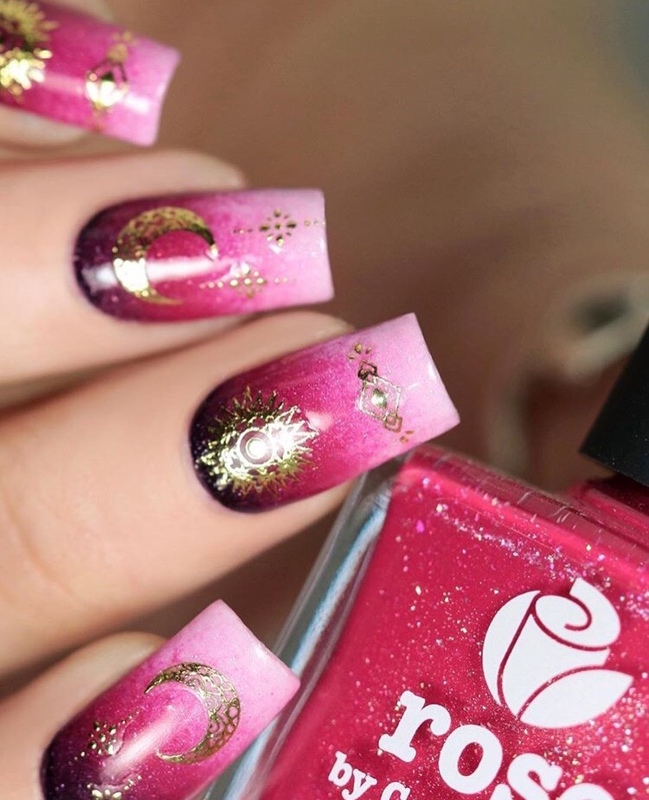 To get the look: apply Celestial nail stickers as pictured over pink to red gradient. Finish your design with a glossy or matte top coat. 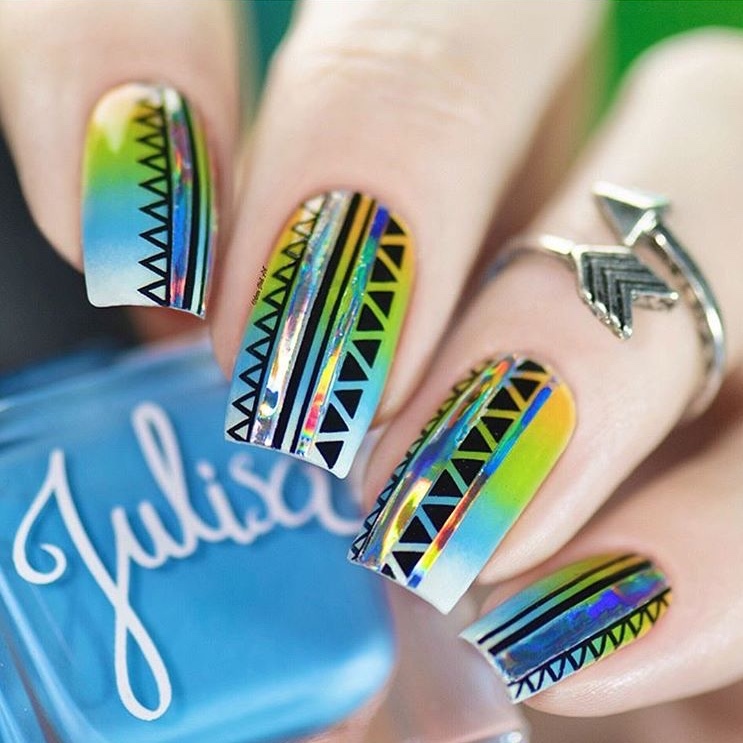 To get the look: apply black Boho nail stickers as pictured and fill in triangle details with neon nail polishes. 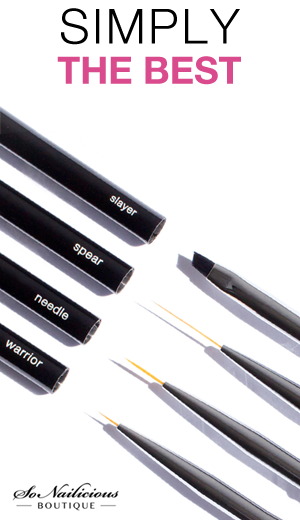 Use 01 Warrior detailing nail art brush to do that. Finish your design with a matte top coat. 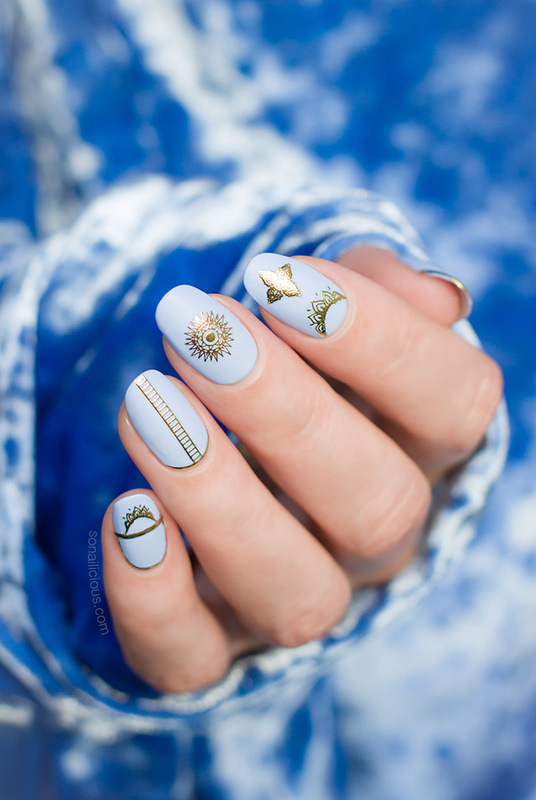 To get the look: simply apply Celestial nail stickers as pictured over light blue nail polish. Finish your design with a matte top coat. To get the look: create colour block pink and blue design on all nails (use these stencils to get the perfect straight lines), wait until your nails are dry then apply Droplets summer nail stickers over blue details as pictured. Finish your design with a glossy top coat. To get the look: create tie-dye design on middle and ring finger nails, wait until all nails are dry, then apply white Aztec stickers and Geo Pattern nail stickers as pictured. Finish your design with a glossy top coat. 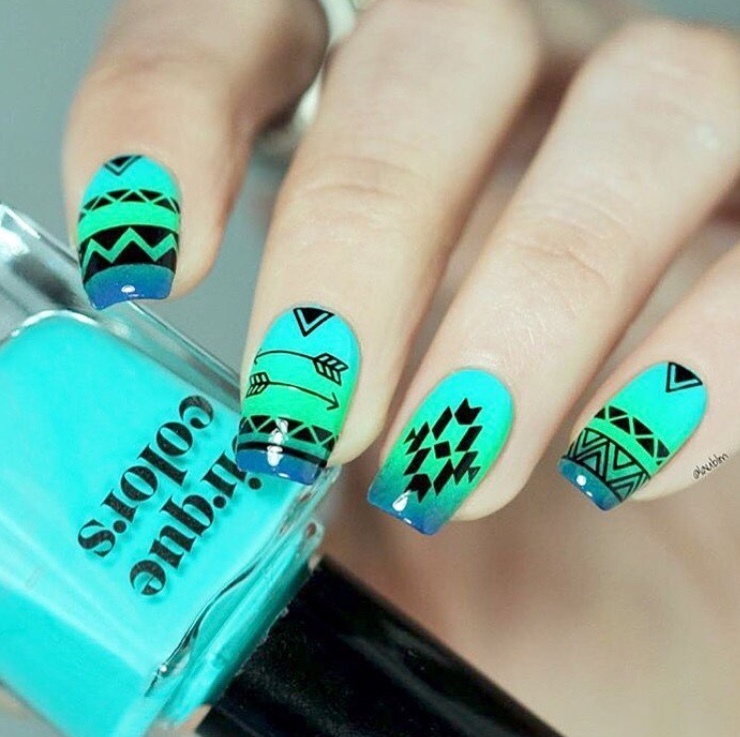 To get the look: apply black Aztec nail stickers as pictured over green to blue gradient manicure. Finish your design with a glossy top coat. 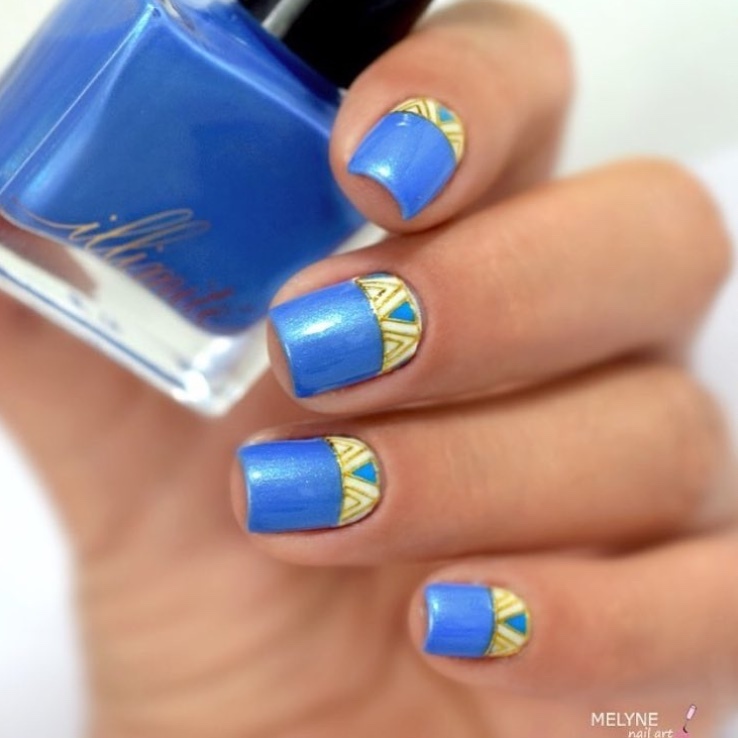 To get the look: create two tone blue and white design on all nails (use these nail stencils to do get the perfect straight lines), wait till it’s dry then apply Mediterranean Summer nail stickers over white details. Finish your design with a glossy top coat. 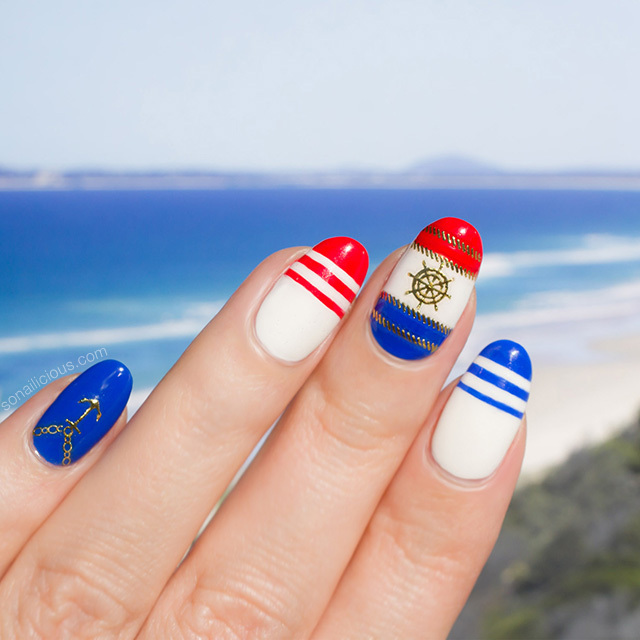 To get the look: paint blue and red stripes on pointer, middle and ring finger nails (use 03 Spear brush to do that), wait till it’s dry then apply Beach Vacation nail stickers on middle and little finger nails as pictured. Finish your design with a glossy top coat. 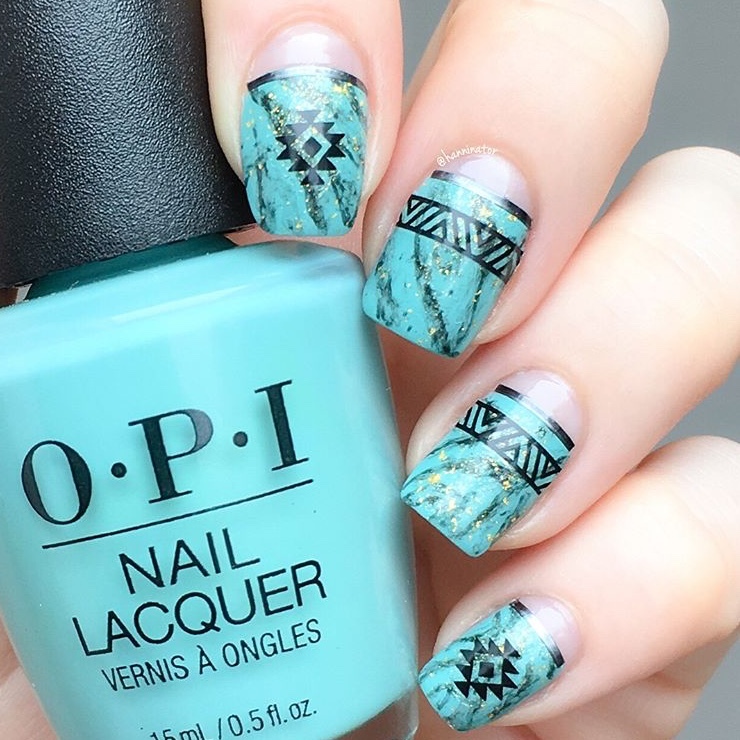 To get the look: create negative space turquoise nail design on all nails, wait till it’s dry then apply black Aztec nail stickers as pictured. Finish your design with a glossy top coat. To get the look: paint all nails in bright pink nail polish, wait until it’s dry then apply Love & Peace nail stickers and the ‘love’ word from Chevron stickers on all nails as pictured. Then using 03 Spear nail art brush paint the rainbow outlines around the stickers. Finish with a glossy top coat. 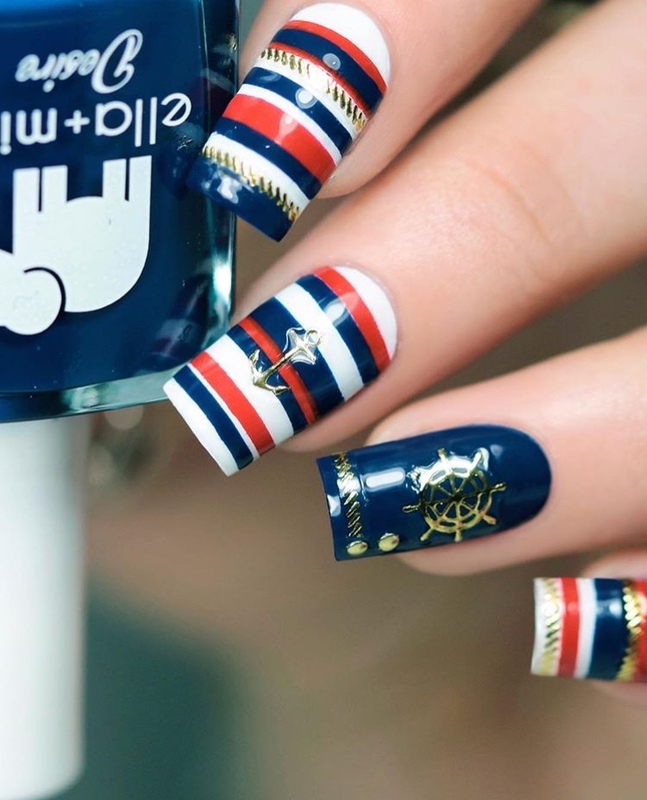 To get the look: paint all nails in white and ring finger nail in blue, then using 03 Spear striping nail art brush paint blue and red stripes on pointer, middle and little finger nails. 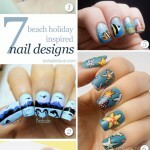 Wait till it’s dry then apply Beach Vacation summer nail stickers on all nails as pictured. Finish your design with a glossy top coat. To get the look: create two tone pink and white base (use these nail stencils to do get the perfect straight lines), wait until it’s dry then apply Geo Pattern nail stickers over white details. Finish your design with a matte top coat. 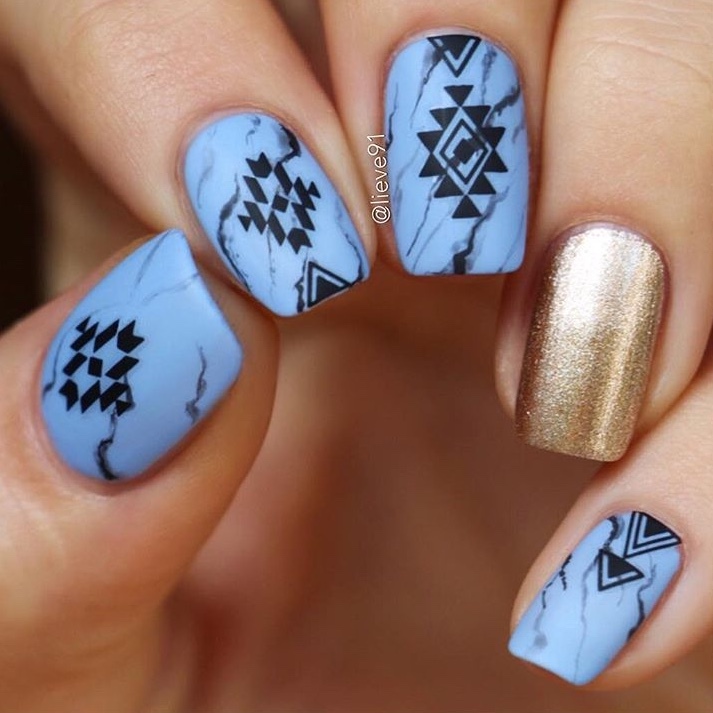 To get the look: apply black Aztec nail stickers over blue marble nails and paint accent finger nail with metallic gold nail polish. Finish your design with a matte top coat. So there you have it, 15 easy and chic manicure ideas with the new Summer nail stickers! 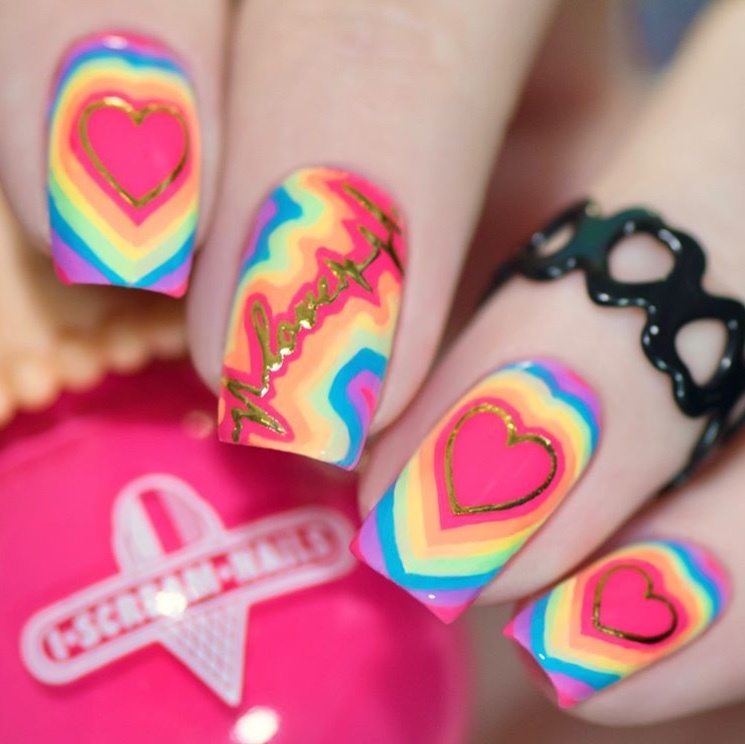 I especially like the rainbow Love is Love manicure, it’s such a great idea to outline the stickers. I’m excited to try it. 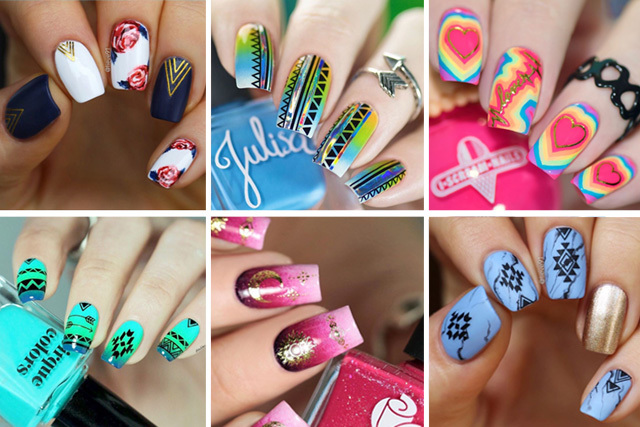 Which manicure from the above compilation is your favourite? How to do Aztec nails in 5 minutes! Where to see and shop the entire Summer nail sticker collection? Right here!